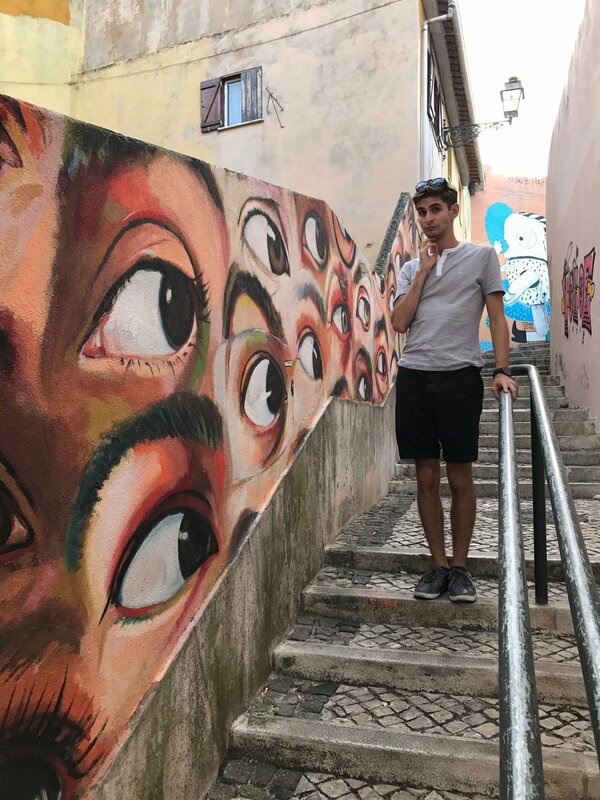 Portugal was a first of many for me. First real road trip, first time traveling just with my brother, first time driving stick shift in a foreign country (or seriously at all), first time skydiving, i'm sure there are more. The beauty of this trip, like most of my favorite travels were the parts left unplanned. 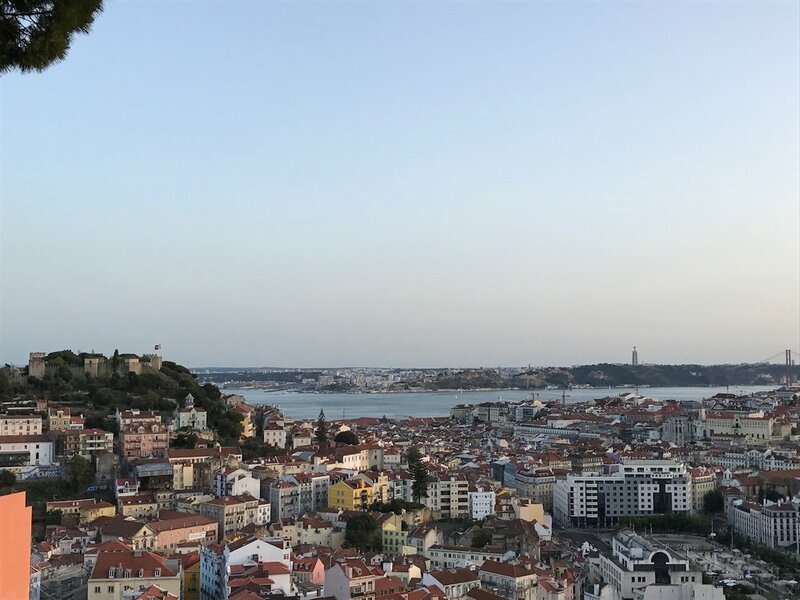 Rough itinerary - two days in Lisbon, drive north to Porto for 2 nights, drive south to Setabul, then travel along the Algarve coast town by town booking airbnb's and hostels along the way. 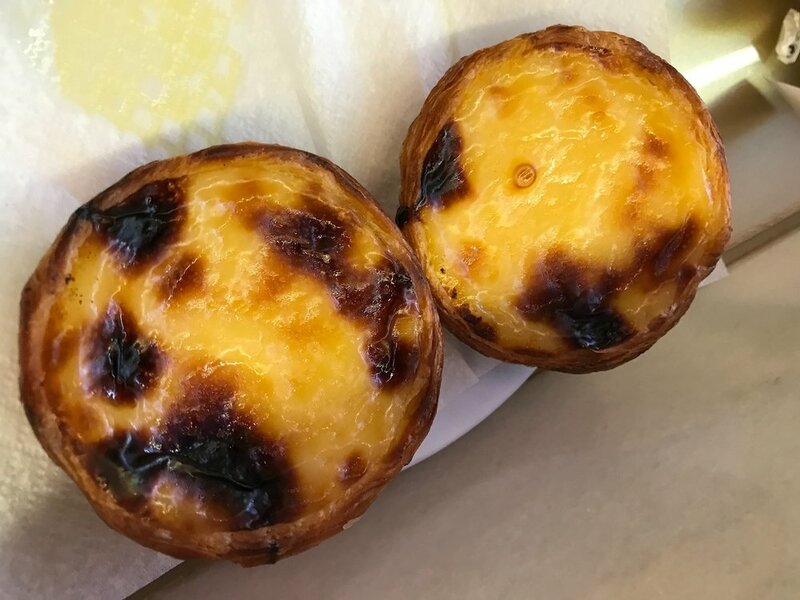 I'll note booking last minute is generally easy, however August is prime season for European tourists in Portugal which led to a a bit more difficulty with limited inventory. Still there were plenty of options and this gave us tremendous flexibility, especially having a car. driving here was a blast. did I say blast, or nightmare? probably cool to go inside, minus the throngs of tourists. custard filled and very delicious. This city is loaded with street art. Narrow, windy streets on a rather mountainous terrain make it easy to get lost and impossible not to enjoy. 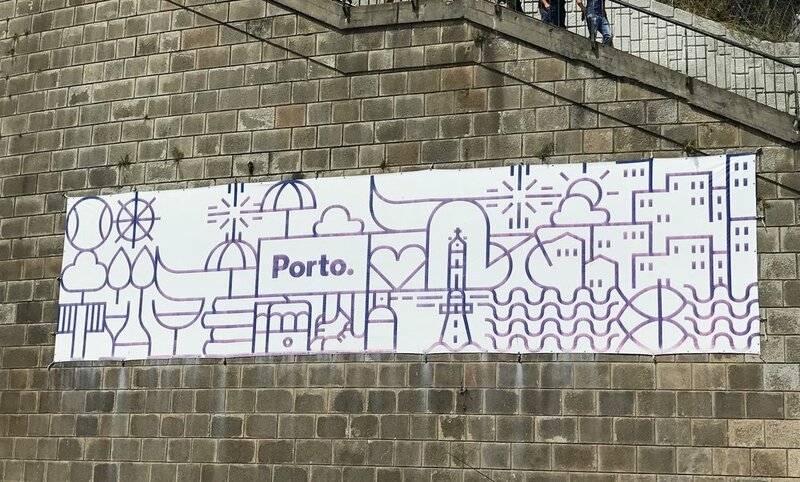 "Porto is the new place". Literally the first thing our Airbnb host shared with us. This, with a pineapple and sampling of port. 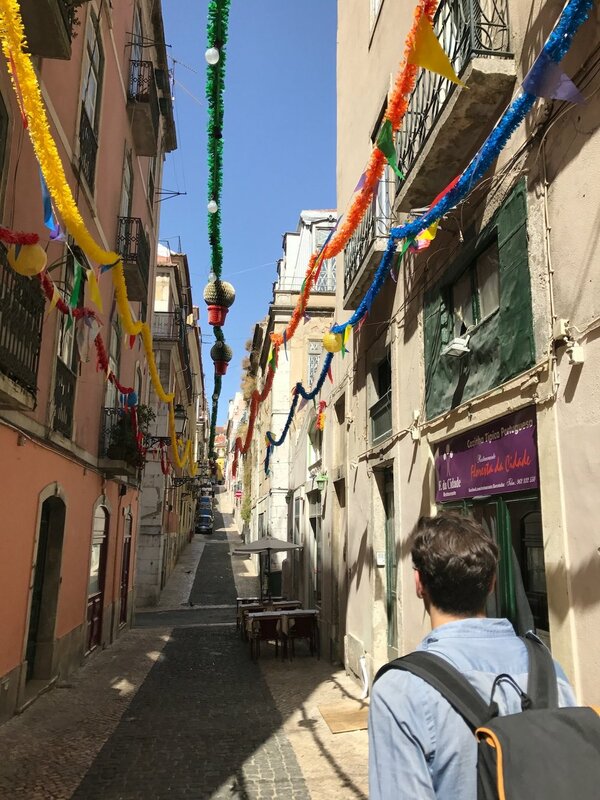 Porto is beautiful - picturesque bridges, a hillside city that meets a winding river at every turn, classic Portuguese tiles and mosaics scattered about buildings. It's no wonder Porto has taken off in the last year as an Instagramer's paradise. Driving the down the Algarve is an experience all by itself. We started in Setabul spending a night there and an evening in the Nature Park of Arrábida on a secret, gotta know-it and hike-to-it beach of which I'll never tell. From there, we drove south taking the Ferry across to Troia Peninsula - this saves almost 2 hours of driving. It's worth the fare as well since it brings you to a really lovely beach town called Comporta. From there, continuing south there are beaches and white washed towns all along the coast. Hidden coves, sandy and/or rocky beaches, cold atlantic water but with fewer waves than I expected. We drove along the beach for a bit of the way as well (there are some off-the-map roads close to the beaches that will take cars). This made for a much more fun ride, even in a Fiat Panda. We continued down past Zambujeira do Mar - they hold a music festival here every August. Looked fun, but we were in a hurry to get further south. Arrifana beach was a sight to behold. Go in the morning when the surfer tourists haven't arrived yet, it's really spectacular in the morning light. 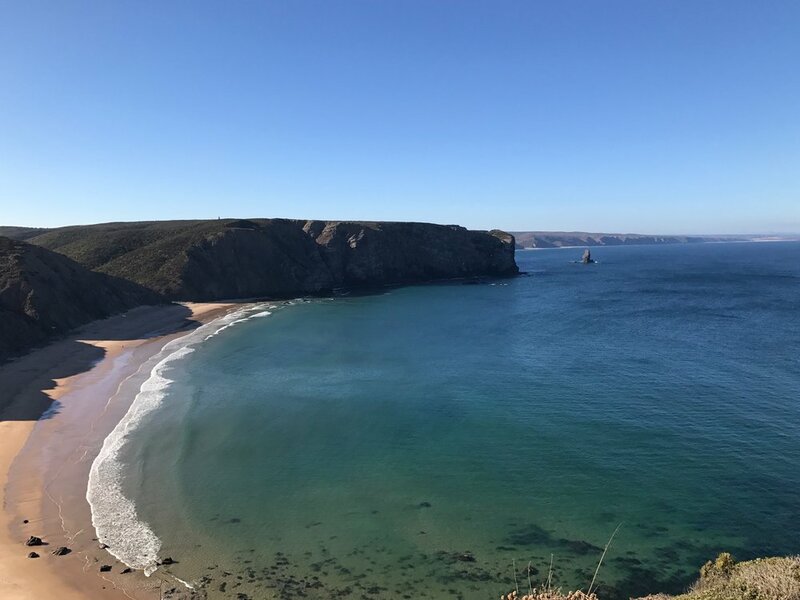 We then went to Sagres - this was formerly the end of the known world for Portuguese explorers and Europeans for that matter. The fort and view are very cool, be prepared for a lot of wind! Lagos is really the heart of the Algarve, all the tourists are camped directly east in Albufeira, Faro and the surrounding villages by the water. One of the best things we did here was Skydive Algarve. Portugal is one of the best skydiving locations in the world, with the view, a 60 second free fall, and funny but professional staff. As first-time divers we had a total blast here. There are tons of cove beaches here to explore, Paradise Cove and Praia do Carvalho being two of our favorites. Check out the map below and Field Notes for more info. foermerly the end of the known world.